IE Business School Masters in Finance now offer the opportunity to specialize in FinTech. Students of IE’s MIF programs are able to place a special focus on fields like blockchain, crowdfunding, cryptocurrencies, cybersecurity, artificial intelligence in the finance industry, algorithm management, or alpha generation platforms, all of which provide powerful tools to tackle challenges thrown up in the field of financial management in a world that has been transformed by technology. IE Business School is thus the first school in Europe to offer Masters in Finance and Masters in Advanced Finance with a specialization in Fintech. The FinTech specialization will henceforth form part of the IE Masters in Finance calendar, running for 3 months. Students will also be able to specialize in corporate finance and in investment. 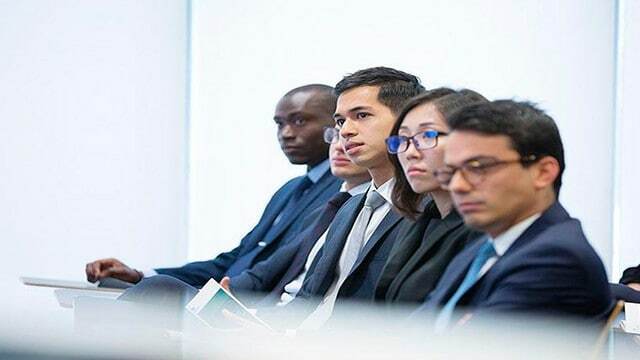 IE Business School’s Master in Finance programs offer a selection of 200 subjects in fields like capital markets, portfolio management, or corporate finance. Students can choose from a pool of over 60 electives in fields like raw materials, mergers, and acquisitions, and private equity. The methodology employed by IE Masters in Finance is eminently practical and includes the use of tools like portfolio management simulators in real time using platforms such as Bloomberg, Factset and Matlab, a fixed income programming software. Students can round off their education in London and New York, visiting investment banks and hedge funds, meeting with finance directors, and finding out how the Wall Street or London Stock Exchanges work.